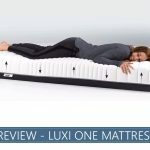 Looking for a luxury sleep experience but don’t want to strain your wallet? Gelfoambed was created with the purpose of providing high-end feeling products at affordable prices. With multiple generations working in the sleep industry, this family-owned business dedicated itself to providing high-quality, budget-friendly products so anyone can afford a good night’s rest. 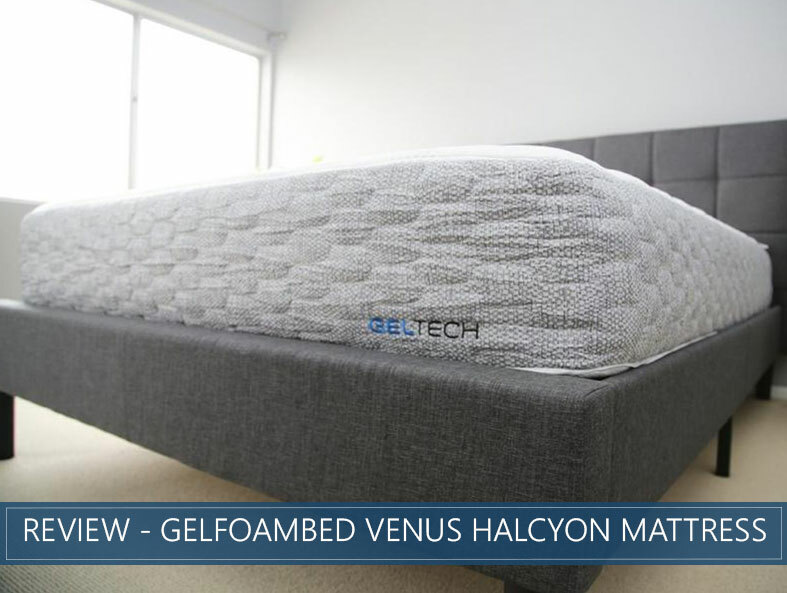 This in-depth overview of Venus Halcyon will break down the construction and qualities of this plush mattress. You’ll also find scores based on comfort, value, edge support, and more. Read through the entire review for a detailed analysis of this item. Or skip to the end for a recap of this product’s strengths and features and our a round-up of how it ranks. Are a side sleeper – A deep hug and enhanced pressure relief should ease pushback against broader body parts like the shoulders and hips. Air pockets inside the foams are designed to compress or pushback as needed based on your weight and position. Want a memory foam feel with more responsiveness – A deep hug and body-contouring should provide the classic memory foam experience. But a quicker response and airy foams should provide easier repositioning so you shouldn’t feel “stuck” in the mattress. Want a luxury feel at a budget price – The Venus is very competitively priced, allowing budget-conscious shoppers the ability to purchase a luxury-feeling product at an affordable price point. Prefer a firmer mattress – Stomach sleepers and those who prefer a Firmer comfort level may find this product to be too plush for their individual needs. Gelfoambed offers a Medium-Firm option, the Miranda, which may be preferred for these shoppers. The Venus Halcyon is an all-foam bed that ships compressed in a box. This mattress is compatible with most flat surfaces, including box springs and adjustable frames. Proprietary frames are sold on the company’s website. The cotton cover has 1.5 inches of gel-infused memory foam quilted into it for added comfort and a cooler sleep experience. This mattress is 14 inches tall. The first layer is comprised of 3.5 inches of Halcyon Foam. This foam is infused with air capsules to promote adaptive pressure relief. This should provide personalized pressure relief as the material compresses or firms up based on your weight. The second layer contains 1.5 inches of Medium Eco Flex. This material should add additional support to the upper comfort layers and should help to transition between the Soft comfort foam and the Firmer support foams below. The third layer consists of 1 inch of Firm Eco Flex. This should provide stability throughout the entire bed and is meant to help distribute weight evenly to remove uncomfortable pushback as the body compresses the upper layers of the bed. The fourth layer is made up of 1 inch of Soft Eco Flex. A second layer of Soft foam helps add to the overall plush feeling of this bed and should act as a dampener of movement. This material is also meant to promote even weight distribution which should aid in proper spinal alignment. The fifth layer is a 5.5-inch high-density Eco Flex Support Core. This Firm support core adds stability to the upper layers of this bed. We rank the Venus at a very soft 2.5 on our Firmness scale where 1 is feather soft and 10 is hard as a rock. This mattress should feel very soft and plush with a deep hug and enhanced pressure relief. The top layer of gel-infused Halcyon Foam combined with a Soft Eco Flex layer should provide deep sinkage and body-contouring that should help to relieve pressure points. The air capsules inside the foams should help promote airflow, which should move heat away from the body. This, combined with the gel in the top cover, should promote a cooler sleep experience. There should not be a large amount of bounce, but the foams should be quick to respond, which should aid in easy repositioning. This should be of great benefit to combination sleepers who switch up their positions frequently. Back sleepers should experience excellent support from the deep body hug of the comfort foams. Those who prefer a Firmer feel may want to invest in Gelfoambed’s Miranda mattress. Most side sleepers should feel enhanced pressure relief as the plush comfort layers give way as the heavier areas of the body like shoulders and hips press down into the bed. Deep sinkage and responsive support should help keep the spine well-aligned. Some stomach sleepers may find this product to be too Soft for their needs. These sleepers generally prefer a Firmer comfort level that prevents the hips from sinking into the foam, causing less than ideal spinal alignment. These shoppers may want to opt for the Medium-Firm Miranda mattress to best suit their needs. The company recommends a weight limit of 350 pounds per sleeper or 700 for the entire mattress. This bed should provide ample support for most shoppers, but those with significantly higher weight considerations may want to consider something firmer. With 5 layers of foam and a layer quilted into the cover, this mattress should do an excellent job of absorbing movement to minimize motion transfer. This should make this product an ideal option for couples or people who share their bed with wiggly pets. Most of the sleep surface should be usable without excessive compression thanks to the thickness and multiple layers of foam. A deeper compression is likely to be noticed when sitting at the edge of the mattress. Co-sleepers should be satisfied with the enhanced edge support witnessed when lying down. Trial Period – Shoppers may try out their new Venus mattress for a full 365 days. 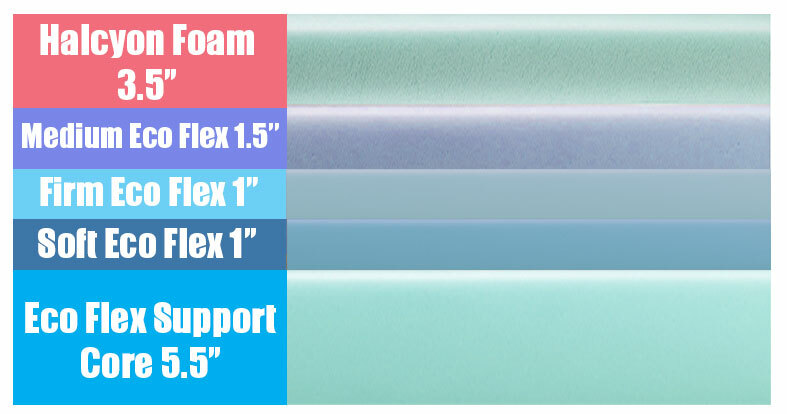 Warranty – Gelfoambed offers a 10-year warranty. Shipping – This item ships free within the United States. CertiPUR-US® Certified – The foams inside this bed are certified to be free of dangerous chemicals like formaldehyde. Charitable Donations – The company will work to donate returned mattresses to those in need. The Venus mattress should be a great fit for side sleepers and those who prefer a plush, Soft comfort level. Shoppers should find this mattress to be plush, Soft, and inviting, with a deep hug and supportive body-contouring. Side sleepers may be particularly drawn to this bed and its enhanced, adaptable pressure relief. Gelfoambed aims to provide high-quality, luxury beds for an affordable price. That dedication really shows in this plush and inviting bed. With a full year to sleep on your mattress-buying decision, the Venus bed is a risk-free investment that’s definitely worth a look. What Is A Plush Bed? Is It Perfect For You?